Apparently A Change in the Weather is part of an emerging literary genre: cli-fi. The late Michael Chrichton’s State of Fear (2004) was an early entrant in the category. Chrichton also penned mega-best-selling sci-fi thrillers, notably Jurassic Park, an entertaining if non-literary cautionary tale that posed some genuine ethical questions about playing God with genetics. State of Fear was more a political potboiler that, to me, was false on every level. Ostensibly about the dangers of mixing politics with science, it played into denialist cant, with cartoonish characters pushed around by the author to advance the ridiculous plot and some misguided ideas. I tried to be amused at the absurdity of underhanded, murderous environmentalists conspiring against all humankind, but it just nauseated me. The book was as inorganic and detached from reality as it could be, completely implausible, mouthing right-wing paranoia about the environmental movement and second-guessing the climate science behind readily observable phenomena like the shrinking ice cap, the shifting growing seasons, and the declining pH levels in the oceans. Crichton, like other deniers, argued from his conclusion. A truthful author listens to his characters and follows them as they act out their authentic motivations. Chrichton superimposed motivations; he wasn’t listening at all, or he would have heard his characters chafing against the tendentious and phony thoughts he was jamming into their heads. Evil, conspiring, genocidal environmentalists. Sheesh. He’s right that ideology can motivate people to violence. That’s a key theme in A Change in the Weather. But plausibility and fidelity to social and psychological truths are important. I’ll leave it to you to judge my story in that regard. Perhaps the most prominent entry into the cli-fi canon (ha!) is Barbara Kingsolver’s Flight Behavior (2012). Kingsolver is an author in pursuit of the truth. Until a third of the way into the book, though, Flight Behavior struck me as verging on chick-lit—really well-done, literary chick-lit, but chick-lit nonetheless. I shared this perception with a correspondent who was reading it, and the term he used for the opening sections was “inane.” That’s an unfair term, but I did understand his impatience with the number of pages devoted to the main character’s inner turmoil about her unsatisfying marriage, her guilty temptation toward adultery, her kids, her domestic duties, her in-laws, her friends, her church, and all the relationships with the people who populated her life, to the exclusion of almost everything else. But there’s a deeper reason for Kingsolver’s approach, and I ended up admiring the book quite a bit. The main character, Dellarobia Turnbow, is an everywoman in a part of the country, the South, where climate change denial is woven into the cultural fabric, a place where Chrichton’s ideas of malevolent environmentalists probably don’t seem that far-fetched to a good number of people. 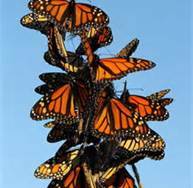 As Dellarobia comes into a wooded valley near her home for an ill-advised tryst, “Every bough glowed with an orange blaze.” It takes her a few moments to realize the blaze is a congregation of millions of monarch butterflies, which she later learns have been misdirected from their migration patterns by a perturbation in the climate. Kingsolver’s conceit brings climate change into the skeptics’ backyard. She invites her readers (and they are legion) to experience the realizations Dellarobia has as she has them, now, in the present. She works from the emotional truth of her character. Dellarobia has a key insight about climate change while noticing the Confederate flag mudflaps on the trucks in her native Tennessee: it’s all about your tribe. People don’t accept climate change because their own didn’t discover it, and making the changes it implies threatens their way of life. 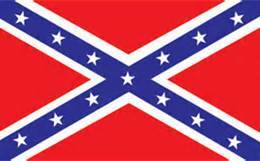 In this way, it shares attitudinal roots with the antebellum South. The cultural schism that gave us the Biblical defense of slavery and the Civil War survives. So we’re back to the cultural conundrum: how to break through to a tribe that’s deeply, even religiously, predisposed to a destructive idea? How to break the dynamic that further entrenches them every time the subject comes up? I’m not saying that if we can win the diehard resistors over, everything will be wonderful. There are tremendous risks in instituting the top-down changes required to halt GHG accumulation; we can see them playing out in our reaction to terrorism, where we’ve surrendered civil liberties and handed enormous extra-Constitutional power to the government. But that’s the dilemma. We have nothing but bad choices. Both the NPR piece by Angela Evancie and the Christian Science Monitor follow up piece by Husna Haq failed to note who coined the term and when and why. It was me. Google it. Not important, just a footnote. The main thing is how do people react to the new term? Pro and con. Thanks for the correction. I’ll update the post.